This clever design from Micky & Stevie turns the concept of a decorative lamp shade literally inside out, using the actual purpose of the object - the light - to create the surface decoration. The lampshade is a lovely off white timber veneer and the design has been applied to the inside of the shade itself. 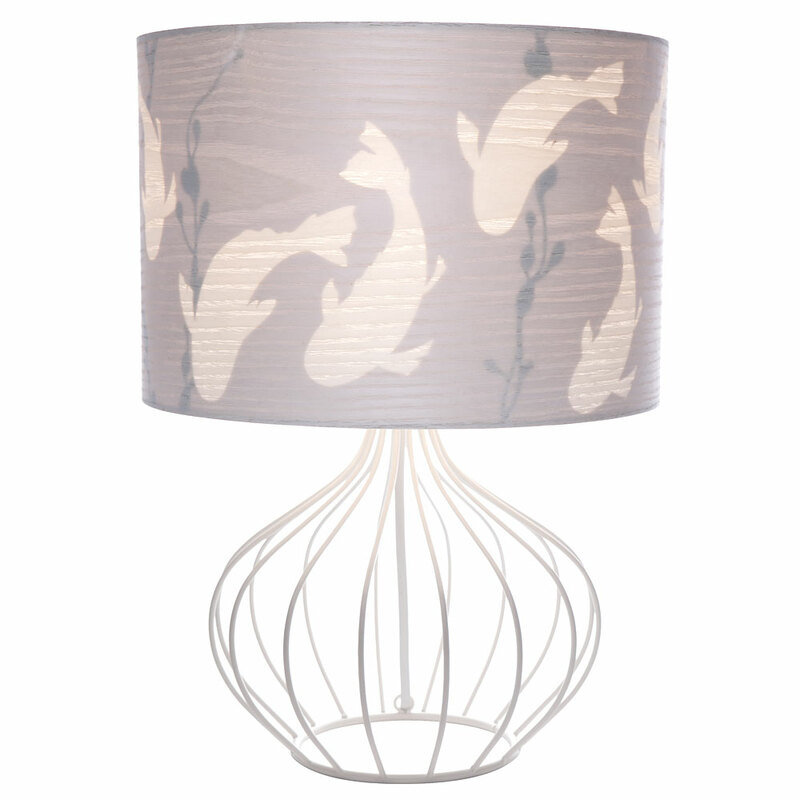 When not in use, the timber lampshade is beautiful and stylish... but when the lamp is turned on, your room will be filled with calm as koi gently swim through the light and shadows. The shape of the base is lovely with the slim metal pieces complementing the elegant shape of the shade. * Small Koi White Table Lamp ships as a large parcel and does not qualify for FREE SHIPPING offers.